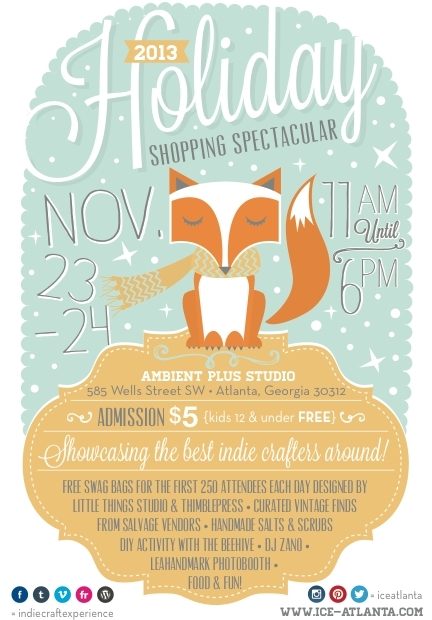 Atlanta’s Indie Craft Experience will kick off their 2013 Holiday Shopping Spectacular this weekend. The best part about it? 13thflr’s very own Kelsey Ryan, will have her photography work on display and for sale. Come on out to the You’ve Been Noted booth to check out Kels’ prints, and other cool things you could probably buy your loved ones. Trust me, it’s classier, craftier and the products more invaluable than anything you’ll find on Black Friday. Peep the event details below. We hope to see you there!